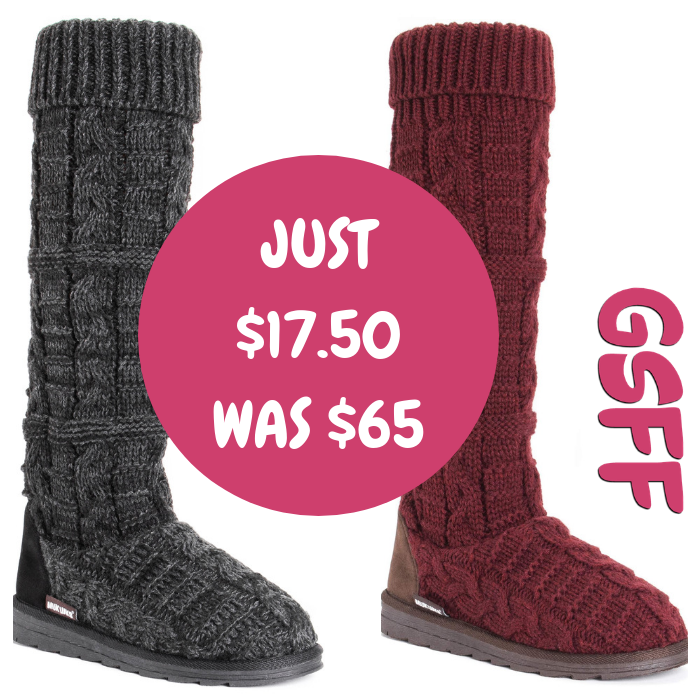 MUK LUKS Slipper Boots Just $17.50! Down From $65! At Walmart, you can score these MUK LUKS Women’s Slipper Boots for just $17.50 down from $65 PLUS store pick up or FREE shipping for orders $35 or more! When temperatures fall, MUK LUKS Womens Shelly Boots go up to your knees for ultimate warmth & comfort. A trendy marl pattern, cute cuff top & detailed knit heel kick make these slipper boots practical & fashionable. Wipe with a damp cloth to clean, no bleach, lay flat to dry. Imported. Hurry before this deal ends!